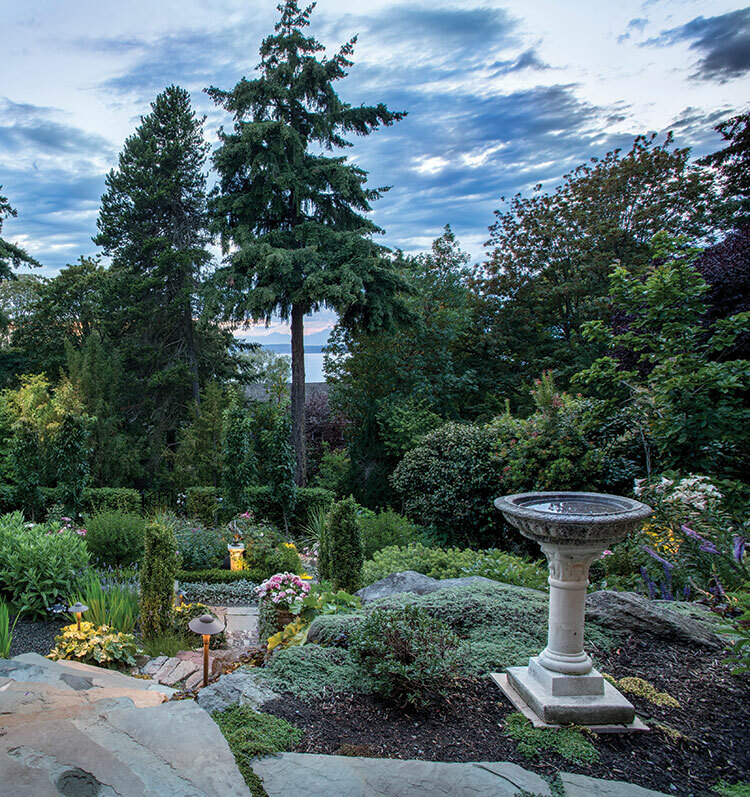 When Kelly Rivelo purchased her Seattle home, the once-loved garden had been neglected for nearly twenty years. Brick retaining walls and steps built in the 1930s by Dorothy Metheny, the original owner, were crumbling, and the eighty-year-old garden was completely overgrown. “You couldn’t see the view of Elliott Bay in Puget Sound, and the garden was dark and icky,” says Rivelo. An avid gardener who isn’t afraid to get dirt beneath her fingernails, Rivelo wanted to clean up the mess but also keep the original garden’s feel. She interviewed several landscape architects, but no one “got it”—that is until she met Kim Rooney. The synergy between the two women was instant. 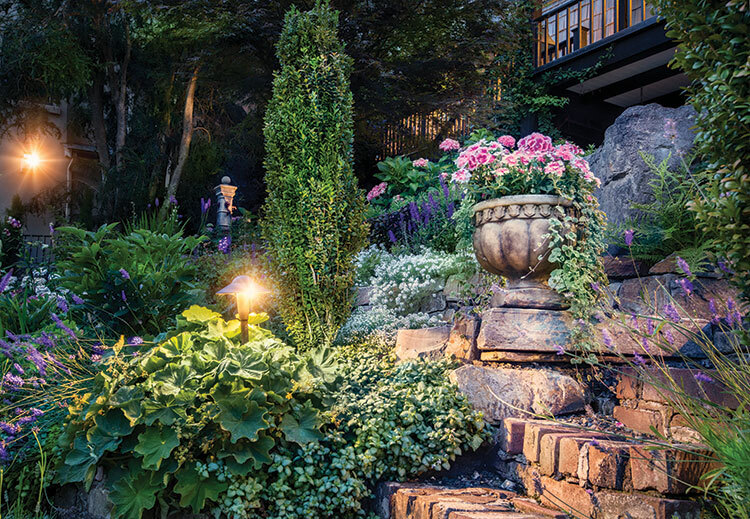 Rooney agreed that the old walls and stairs should be kept, and she embraced Rivelo’s vision for the garden. 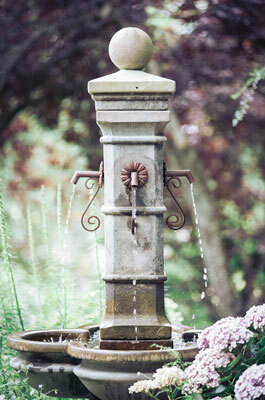 “When we first met, Kelly mentioned Gertrude Jekyll as the source of inspiration for her garden. That resonated for me,” says Rooney. Gertrude Jekyll, who designed gardens in the late-nineteenth and early-twentieth century, was strongly influenced by the uninhibited profusion of plants found in old cottage gardens. She also recognized the necessity of providing an underlying architectural structure as a framework to the floral abandon. This structure took the form of paths, hedges, walls, and other features. Once the intricate hardscape and planting plans were on paper, work began. Most of the overgrown plants were removed, revealing the structure of retaining walls and stairs. Wherever possible, Rooney had the decaying brickwork repaired. Where it was too far gone, she replaced it with stone, which provides a harmonious, naturalistic look. Pea gravel paths wend through the level terraces, providing a comfortable, pleasing journey throughout the garden. Then the planting began. Channeling Jekyll, Rooney layered plants, creating multiseasonal interest of color and texture. “Kelly understood that a garden like this can look a little wild,” says Rooney, “but she was okay with that.” Rooney employed structure with shrubs and trees to give a sense of containment. A boxwood hedge surrounds the rose garden. 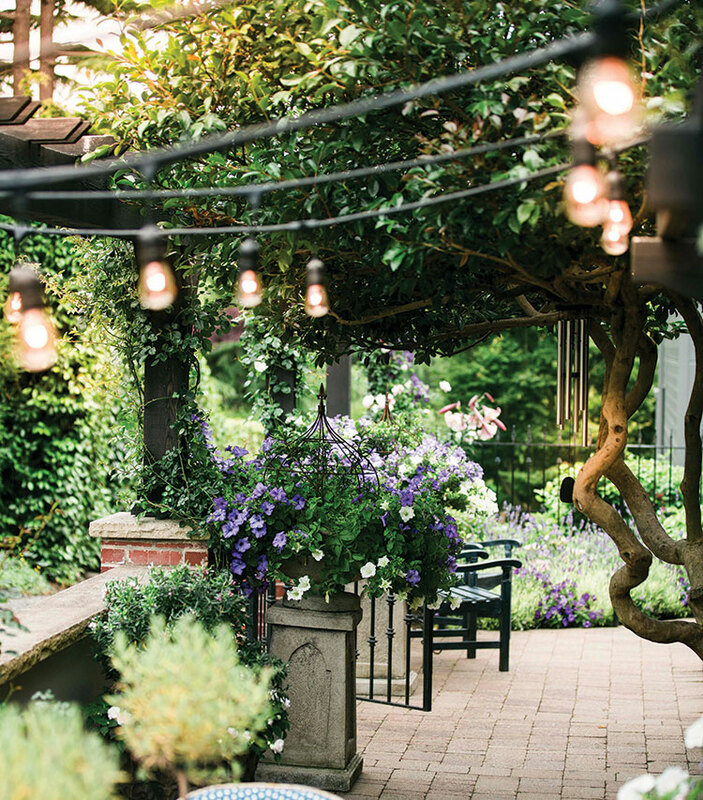 Market lights illuminate one of the outdoor rooms in this home garden nestled in the hills of Seattle. As a result of the careful planning, the garden sequences through a series of floral displays. Spring flowering bulbs are succeeded with summer plants that give way to fall blooming perennials such as Japanese anemone. Flowering trees and shrubs add to the bountiful arrangement. In winter, Japanese maples and camellias salvaged from Metheny’s original garden come into their own, with the dramatic branching typical of the Asian maples and the camellia’s winter bloom. Permeable material allows rainwater and snow melt to seep through and irrigate the surrounding plantings. The porous surface counteracts erosion and storm-water surges. The soft feeling of gentle movement below your feet is appealing. The subtle sound of gravel underfoot is soothing. Reduced rain runoff from impermeable surfaces helps filter out pollutants. LEFT: The striking view of Elliott Bay in the Puget Sound was once hidden behind trees and overgrown plantings. 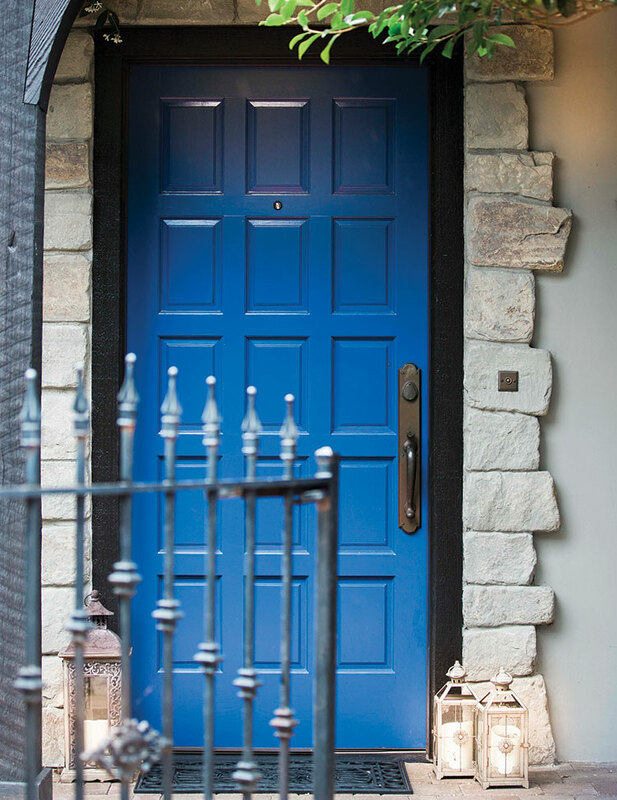 ABOVE: The colors of the garden complement the exterior of the home, including this pop of blue. Information deemed reliable but not guaranteed. All measurements are approximate. ©2019 By Design Publishing. All rights reserved.